AyurvedicYogi » A 21st century look at ghee- Ayurvedic nectar or heart disease risk factor? A 21st century look at ghee- Ayurvedic nectar or heart disease risk factor? In an ancient Indian tradition, newborns are given ghee and honey impregnated with special mantras. A daily dose helps with nourishment, digestion, assimilation, elimination and increasing sattva (purity). 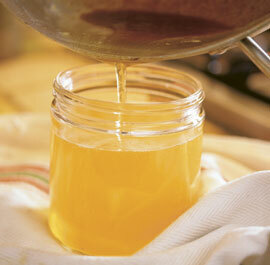 Ghee is sweet in taste, cold in nature and has a sweet aftertaste. It is considered soothing, soft, and oily. However, due to varying predominance of the panchamahabhutas (Ayurvedic elements), ghee from different animal’s milk has different properties. Buffalo milk is colder, oilier and heavier and more effective at inducing sleep. However, it is also channel blocking whereas cow’s milk is not. Sheep’s milk is hotter and can aggravate Pitta. Cow’s milk and its ghee are viewed as most wholesome, a view supported by modern analysis. On a calorific basic, cow’s milk is superior in protein, fat, carbohydrates, vitamins and minerals. Buffalo milk also has a higher PH (acidity) buffer value, density, viscosity and fat globule size making it harder to digest. Throughout life, ghee is considered nectar-like for living according to Ayurvedic principals. foods is the guiding principal behind diet planning in the Indian tradition. Caraka could not have been clearer when he wrote: “if the gastric fire is kindled by fuel in the form of ghee, then it cannot be suppressed, even by too heavy food”. Considering Ayurveda’s emphasis on wholesome food, ghee’s role in increasing agni (digestion) helps explain its importance. Without proper agni no benefit can be gained from food, and ama (undigested matter) accumulates. One or two teaspoonfuls of ghee daily not only provides nourishment itself but increases the capacity to nourish. Cow ghee’s properties also make it an excellent pacifier of aggravated Vata and Pitta doshas. For example, ghee aids in the elimination of waste products due to it having both a laxative and diuretic effect on the body (due to its sweet taste). Its oily nature is also helpful in ensuring Vata dosha moves in a downward motion. Ghee’s properties act to keep the digestive tract lubricated, alleviate hardness in bowels and reduce flatulence and bloating- all symptoms of aggravated Vata. What is truly special is that ghee flames the digestive fire without aggravating Pitta dosha. Instead, it balances the different types of agnis found in the body, the main type of which is correlated with digestive enzymes. Ghee nourishes all dhatus (tissues), ojas (essence of tissues) and breast milk, as well as promoting strength, normalising the blood and lymph. In Ayurveda, it is the sweet taste which stimulates anabolic activity due to the predominance of the earth element. Beyond being sweet, ghee’s proportion of the panchamahabhutas is very similar to ojas, the body’s life force. Ghee’s nourishing property and similarity to ojas help explain its importance in the Ayurvedic monthly pregnancy regime, as well as for under nourished individuals. Beyond a preference for warm food, Caraka’s second guiding principal is that food must be unctuous. Such oily food is not only delicious but also helps move Vata downwards, and lubricate the digestive tract. Non-oily foods, such as rice, vegetables and pulses, are only considered to nourish in combination with ghee. For example, pulses eaten with out ghee are likely to aggravate Vata, causing flatulence. Although fats contain twice as many calories as carbohydrates they also keep hunger satisfied three times as long. Adding ghee to plain dishes of rice and dhal is clearly important in the feelings of satisfaction that arise after eating recipes, such as kitchadi. Ghee also provides a soothing and cooling effect in the digestive tract, helping to offset the irritant effect of hot spices and chillies. Ayurvedic recipes use ingredients that work well together. However, any avirudda (incompatible) items would be taken care of by ghee as an added ingredient. As well as helping other ingredients to ‘get along’, ghee helps eliminate and neutralise toxins, such as bacterial contamination. Such is ghee’s effect that Caraka describes Amrta ghee as “ ambrosia for curing all types of poisons”. Ghee is also yogavahi (takes on the properties of other substances) and diffuses added spices throughout the food. Thanks to superb penetrating qualities, ghee also carries such substances deep into the body’s tissues. Interestingly, ghee’s rate of absorption (digestibility coefficient) is calculated at 96%, the highest of all oils and fats. This justifies its place in both Ayurvedic recipes and medicinal formulations, where the digestion, absorption and delivery of other ingredients is crucial. In this age of ‘fatism’, Ayurveda’s views can appear contradictory but ghee has been used for millennia in Indian diets without any reported adverse effects of health. One must scrutinise ghee through the modern scientific lens to look for rationale for it’s recommendation from cradle to grave. All fats, especially saturated fats, have been widely vilified by modern health authorities. This can be traced back to the Lipid Hypothesis of the 1950’s, which stated heart disease was due to high intakes of saturated fats. It suggested favouring polyunsaturated fats would improve health though growing evidence suggests the Lipid Hypothesis was wrong. Most of the earlier studies focused on cholesterol levels as an indicator of CVD risk but recent studies indicate that the more specific culprit is oxidised low density lipoprotein cholesterol that leads to atherosclerosis. Ghee, consisting of 65% saturated fat, was an easy target. One Lancet study explored the high frequency of atherosclerosis in Indian immigrant populations. It found substantial amounts of harmful cholesterol oxides were found in ghee, but not in butter. This implies cholesterol in butter is oxidised in making ghee. The author stated one need only eat 1g of ghee daily for there to be a harmful effect on arteries. When the experiment was repeated however, no cholesterol oxides were detected in ghee. The authors felt that by the time ghee’s cholesterol oxidises, it is no longer considered edible (3-4 months storage at ambient temperature). It is also thought oxidation may be prevented due to ghee’s considerable level of antioxidants. Beyond the issue of whether ghee contains harmful types of cholesterol or not, its fatty acid content is also important. It’s saturated fat is primarily (89%) short chain fatty acids, compared with longer chains in other animal fats, such as beef fat. It is the longer chain fatty acids that are associated with blood clotting and thrombosis. Short chains are not only easier to digest, but help hormone production and strengthening cell membranes. They also have anti-microbial properties, protecting against harmful micro-organisms in the digestive tract. Beyond there being no clear evidence linking ghee with CVD risk, it seems it may even help prevent it. Studies in both rats and humans have shown that ghee can lower serum cholesterol levels. This is thought to be due to ghee increasing the secretion of biliary lipids, an important route for the excretion of excess cholesterol. It is logical to assume that the high incidence of atherosclerosis in Indian immigrant populations was due to another factor. However, it would be another two decades before the focus shifted to the role of polyunsaturated fats. Much of the earlier research into saturated fats failed to differentiated between true saturated fats (such as butter and ghee) and synthetically generated ‘trans’ saturated fatty acids. Most fats naturally occur in their ‘cis’ form which matches fat receptors in each cell. Modern processing (heating, hydrogenation, bleaching, deodorising) turns ‘cis’ fats into ‘trans’ fats which no longer fit. Instead they disrupt cellular metabolism. ‘Trans’ fats have been linked with CVD and many other health problems. Since these artificial fats are a recent dietary addition it is reasonable to question if they are digested or form ama. Just as in the West, where lard and butter have largely been replaced by vegetable shortening and margarine, cow ghee has been largely replaced by cheaper, hydrogenated vegetable ghee. Only one study could be found which looked at both ghee and trans fats in the Indian diet. This compared urban and rural populations and found that only diets with both ghee and trans fats were significantly associated with CVD. The issue of trans fats in food is slowly addressed by both governments and the global food industry. As well as saturated fats, ghee consist of 25% monounsaturated fat (also found in olive, mustard oil) and a relatively low 5% polyunsaturated fat (also found in sesame, sunflower, groundnut oil). Monounsaturated fats are generally agreed to be a healthful form of fat consumed in moderation. The Lancet study cited above was carried out over 20 years ago when saturated fats were vilified as unhealthy and polyunsaturated fats (PUFAs) as healthy. There is now increasing evidence linking PUFAs with CVD, cancer, immune system dysfunction, depressed learning ability, impaired growth and obesity. Part of the explanation lies is modern food processing techniques, with oils often being rancid, oxidized or chemically tainted with high levels of free radicals. Another issue is how fats are used in the cooking process. PUFAs are highly unstable due to the presence of unsaturated double bonds, which create free radicals when heated. In contrast, ghee is an ideal cooking fat as it is predominantly saturated. All such fats are deemed as superior to polyunsaturated fats for frying as they stand up better to high-heat uses than most oils in bottles. Ghee is a star performer in this respect, with a smoke point of 190 C (due to the removal of water and protein) compared with 120 C for butter. The smoke point determines when oil burns, generating oxidation and free radicals. Ghee is hence one of the safest fats to fry with. It also has the added benefit of a long shelf-life without refrigeration, thanks to a low moisture content and inherent anti-oxidative properties. The real 21st Century villains: Free Radicals? Free radicals are “almost perfect candidates for the honour of casual villain in the biochemical drama of degenerative diseases”. They are known to damage DNA, RNA, proteins, enzymes, membranes, eventually causing death. Beyond CVD, they are now thought to play a significant role in rheumatoid arthritis, inflammatory gut disorders, connective tissue disorders, strokes, acute renal necrosis, cancer, Parkinson’s, Alzheimer’s, dementia, diabetes and the ageing process. It is more likely the Indian immigrant’s increased CVD risk was due to them eating double the amount of PUFAs than the control group. Ironically, the ghee they did eat could have conferred a protective effect. Not only does ghee appear to help lower serum cholesterol levels, but it also contains anti-oxidants (Vitamins A and E) which prevent free radical damage. The colour of ghee is dependant on its beta-carotene content (a precursor of Vitamin A) with a paler colour indicating lower levels of this potent anti-oxidant. Within the body, Vitamins A and E are only bio-available when taken with fats. Beyond ghee, only one other edible fat contains Vitamin A in the form of fish oil. Ghee is thus an ideal delivery vehicle, especially for lacto-vegetarians. It serves to take anti-oxidants to cell membrane and cell structures made of fat , protecting against free radical damage. Despite the potential health problems associated with poor quality PUFAs, they are also vital in providing the essential Omega fatty acids now famed for their health giving anti-oxidant properties. Ghee contains linoleic acid, an Omega-6 oil and alpha-Linoleic acid, an Omega-3 EFA. Both are also found in another nectar like substance, breast milk. EFAs are only used for energy if present in excess, generally play the role of stimulating metabolism. Correlations with ghee’s effects of increasing agni are of great interest in this regard. Despite their benefits, there are dangers associated eating the wrong ratio of Omega-6 to Omega-3. These include CVD, mental disorders (ADHD, depression, MS and Schizophrenia), and inflammatory diseases. Most of us eat more Omega-6 than 3 but ghee provides both in an ideal ratio of 1:1. In his groundbreaking book, ‘Fats that heal fats that kill’, Erasmus dismisses all dairy products as a poor source of EFAs due to them raising triglyceride and cholesterol levels and increasing platelet stickiness. He adds ‘the cholesterol in dairy products, combined with sticky fatty acids, create a burden that must be carried by fat dispersing Omega 3 and Omega 6, which must come from another source”. Although human breast milk contains cholesterol, its EFA content keeps it from oxidising and damaging arteries. Erasmus concludes human milk is better adapted for human health than cow and other types of milk. Unfortunately, ghee is not included in his research on dairy products. Studies are needed into whether ghee is a good enough source of EFAs to help prevent cholesterol damage. 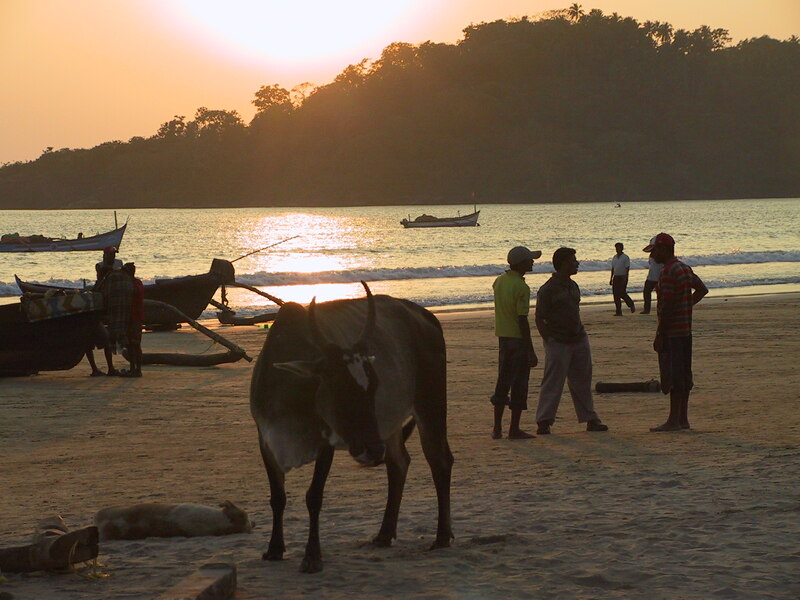 Ayurvedic wisdom is unequivocal that cow ghee is an important part of a healthy diet. However, being a science of individualisation, even a food as wholesome of ghee is not always considered healthy. It is contraindicated with kapha aggravation and should be used very sparingly by the overweight. One should also alter intake throughout one’s life and the seasons in accordance with Rtucarya (seasonal modifications). Taking ghee in Autumn helps prevent Vata aggravation but excess intake in Spring is contraindicated due to the potential for kapha aggravation. Caraka’s Samhita was also written when pollution was not an issue. Pesticides are known to bio accumulate up the food chain and are stored in fat, emphasising the importance of using organic butter to make ghee. How dairy is processed is also as issue, with both pasteurisation and homogenisation affecting digestibility. New foods not described by the Acharyas, such as artificial fats, must also be scrutinised from the Ayurvedic perspective. Examining ghee through the modern lens supports the role it plays in an Ayurvedic diet. It can be viewed as a healthy saturated fat which contributes to promoting healthy cell membranes and strong bones; and enhancing immunity. It appears that the dramatic increase in poor quality PUFAs and artificial fats are the likely suspects in explaining growing health problems in India and other countries. Such substitutes more traditional fats are not only more likely to be rancid, oxidized or chemically tainted with high levels of free radicals but they create free radicals in the cooking process itself. More fundamentally, ghee’s role of increasing agni whilst also containing protective anti-oxidants ensures it a central role in the process of life. Borrowing an analogy from Erasmus, health is a balance between the oxidation of foods (fire) to produce energy by means of free radical reactions, and anti-oxidants which keep free radicals (sparks) from damaging cells. Ghee plays a key role in both functions. Singh RB, Niaz MA, Ghosh S, Beegom R, Rastogi V, Sharma JP, Dube GK: Association of transfatty acids (vegetable ghee) and clarified butter (Indian ghee) intake with higher risk of coronary artery disease in rural and urban populations with low fat consumption. International Journal of Cardiology, Vol. 56, Issue 3: 289-298.